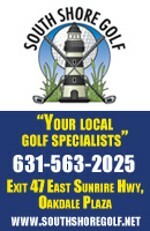 Long Island Teen Challenge, an organization dedicated to helping people overcome drug and alcohol addictions, will hold its first annual Teen Challenge Golf Tournament on Saturday, May 4 at Pine Ridge Golf Club in Coram. The $125 entry fee covers 18 holes on Pine Ridge's tree-lined course in addition to lunch and dinner. Check-in begins at 12 noon with shotgun tee time scheduled for 1:00 p.m. There will be prizes for long-drive and closest-to-pin contests on the course, as well as a silent auction and giveaways. Registration information can be found on the Long Island Teen Challenge Facebook page, or call (631) 321-7070. To learn more about Long Island Teen Challenge and its causes, visit the organization's website. 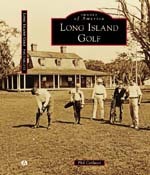 Built in 2006 out of former pine forest, Pine Ridge is one of Long Island's newer courses. For more on the Coram course, check out the Pine Ridge flyover.